1960s Era Butler & Wilson Sterling Silver Tennis Motif Cufflinks -- Free US Shipping! 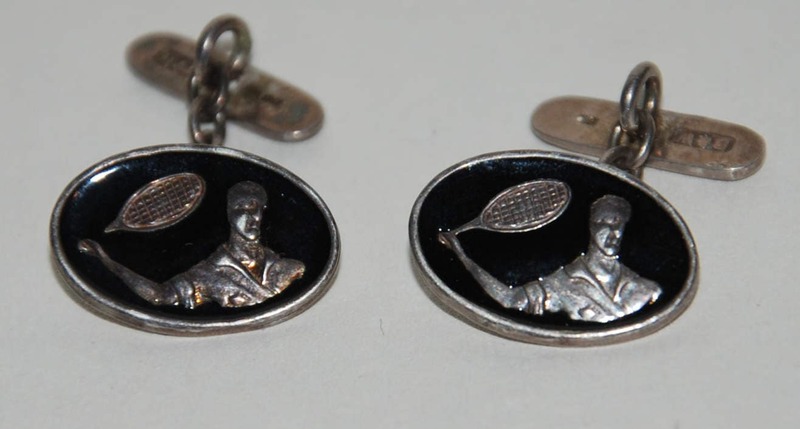 These are a pair of enamel on sterling cufflinks by Butler & Wilson featuring a male figure with rolled up sleeves holding a tennis racket all in low relief with a black enamel background. The backs are fully hallmarked but too small to read with great accuracy. We believe that hallmark is for 1967. We have not polished these, so they show some mild surface tarnish on the exposed silver. They are in very good condition with no repairs or restoration. On one of the cufflinks the handle of the racquet does not reach the wrist; we believe that this is original to the manufacture and not due to subsequent silver loss. Sizes are on the pics. 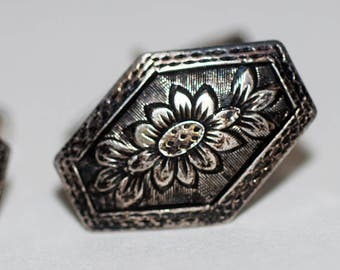 Beautiful Pair of Original Art Deco Era Cufflinks -- Free US Shipping! Mid Century Sterling Silver Modernist Fish Cufflinks-- Free US Shipping! Genuine Vintage Victorian/Edwardian era Lapis Lazuli Double Faced Cufflinks -- Free US Shipping! 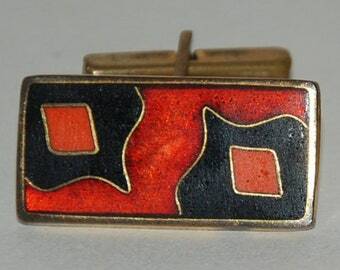 NORNE Aksel Holmsen Guilloché Enamel Sterling Double Faced Cufflinks -- FREE USA Shipping!